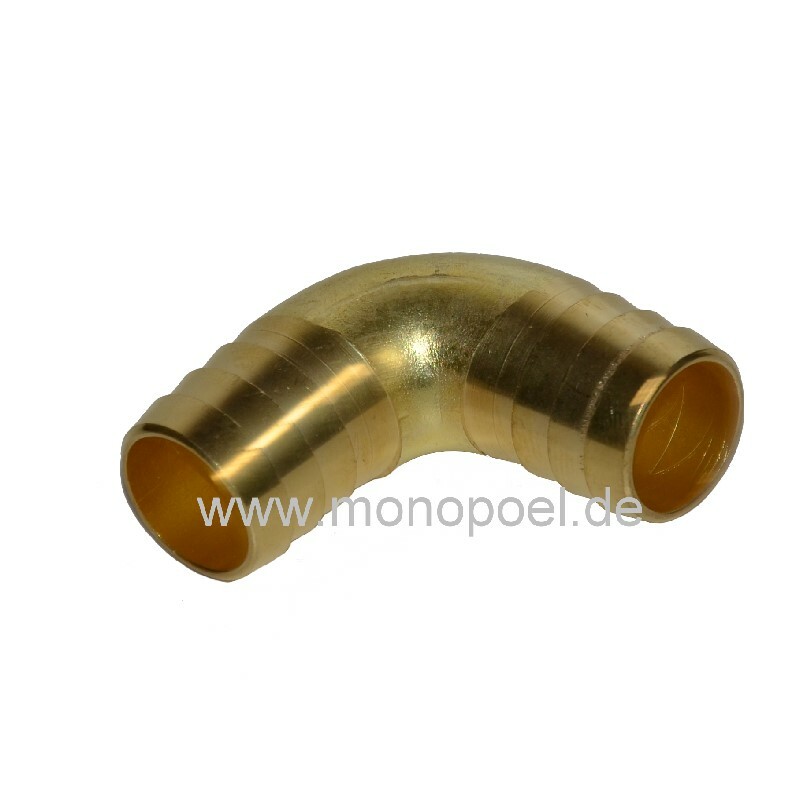 With this elbow fitting you can connect coolant and fuel hoses with the same inner diameter of the hose. With this 90° elbow fitting narrow installation situations for the coolant hose s-ku-18 and the fuel hose s-tank-3-4 can be mastered. The nozzle has an outer diameter of 20.5 mm. We recommend the use of this elbow fitting in almost indestructible all-metal design in any case with difficult conditions (heat, vibration, tensile stress). The appropriate hose clamp is ss-16-27 or ss-20-32, the matching mounting plate clip is sb-24.